In August of 2011, Hurricane Irene swept through much of the East Coast and became the fifth costliest storm of all time. Overall, it cost more than $16 billion in damages. However, this does not take into account the long-term effects that it had on businesses. Besides the physical destruction of stores and merchandise, the significant outages led to lost data, long recovery times and loss of revenue – all of which could cripple a business. The Department of Labor estimates sixty percent of businesses that are majorly affected by a natural disaster and are forced to close for a significant amount of time will close for good within two years. 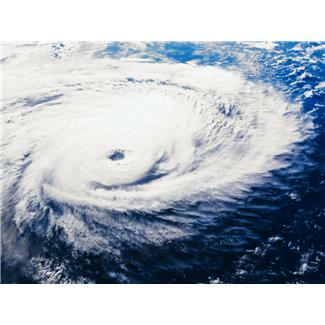 Hurricane Irene was a reminder of the importance of disaster recovery to keep your business running at the crucial time following a natural disaster. Unfortunately, Mother Nature thought that the East Coast needed a further reminder of her might and, in late October, contracted Sandy to do her bidding. Hurricane Sandy has proven to be an even more destructive storm than Irene, and many in New York, Northern New Jersey, and Pennsylvania are still picking up the pieces of their lives to go back to some level of normalcy. We won’t know for sure for a while, but it’s been predicted that Sandy may end up costing more than $60 billion, and businesses are certainly feeling those effects. Businesses of all kinds were affected by Sandy, and many experienced significant outages. Several data centers have been flooded with water, causing diesel pumps to go offline and, thereby, shutting generators down. Because of this, sites like the Huffington Post, Gawker, and BuzzFeed, as well as many businesses across the Mid-Atlantic all, experienced significant downtime. Those who did not have disaster recovery may never recover at all. These horrible events are reminders that we don’t know what’s going to happen in the future, so it’s pertinent to hedge your bets and have disaster recovery in place that will keep you online through any event that could potentially disrupt your system. Understandably, you may be wary of the costs of in-house recovery or not be able to house the additional servers and equipment, which is why third-party providers are a cost-effective, smart solution to ensure your business isn’t disrupted due to a disaster. Contracting the expertise of a third-party IT provider just makes sense for a number of reasons. Rather than stretching your current IT staff too thin, you can enlist the services of experts in disaster recovery who can review your needs and situation in order develop a plan that works best for your business. Your staff will be able to concentrate on their strengths to keep your business afloat during the recovery period. Additionally, you can have disaster recovery at a reduced rate. It can cost you up to seventy percent less through a third party provider rather than in-house recovery. From infrastructure management services to recovery services and business continuity management software, hiring a third-party IT service can give you the tools and set infrastructure to manage any disaster that may come, and if the last two years are any indication, another is bound to happen.